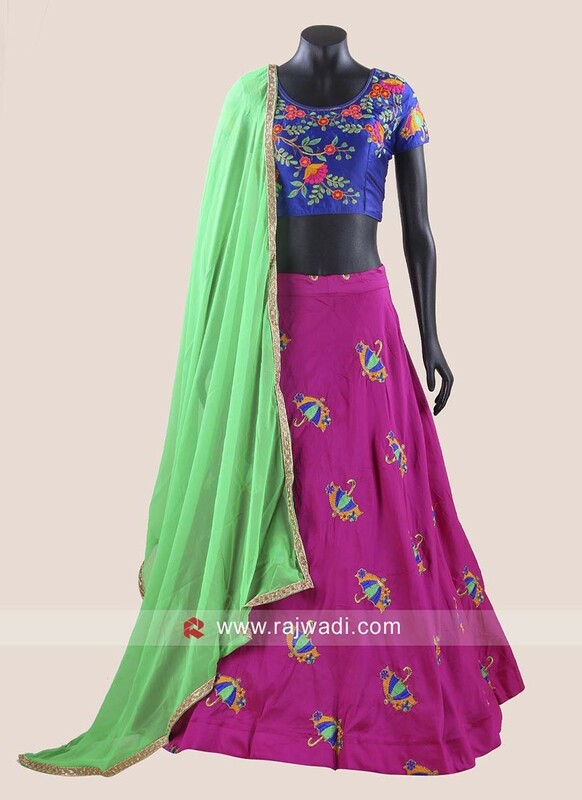 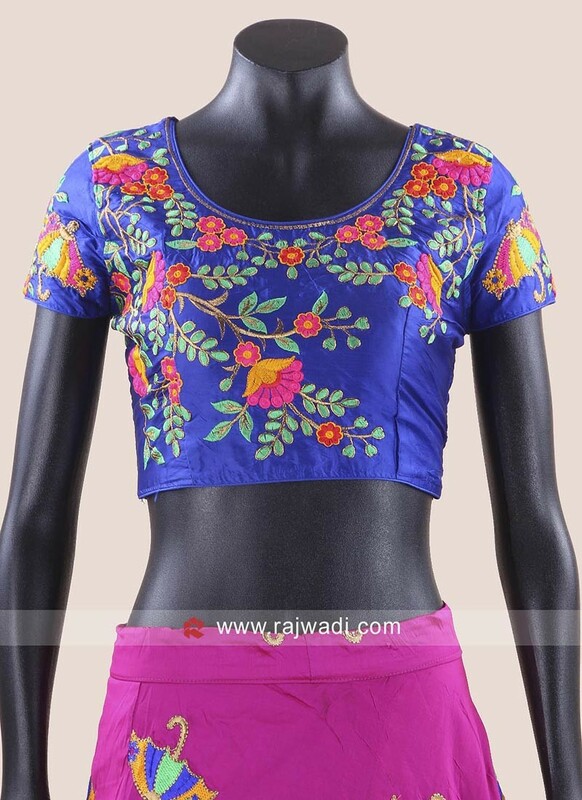 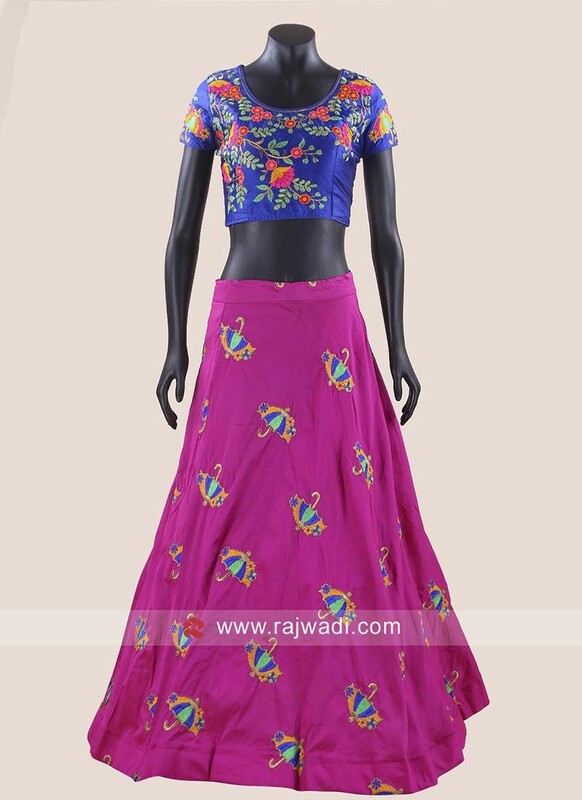 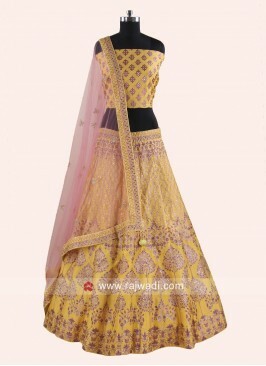 Ready to wear Taffeta Silk traditional Chaniya Choli features zari and kutchi work embroidery. 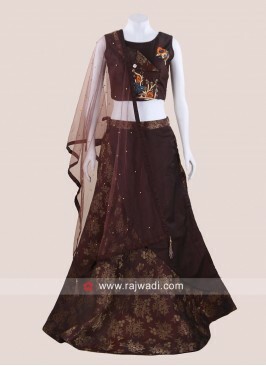 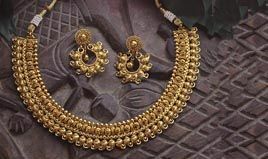 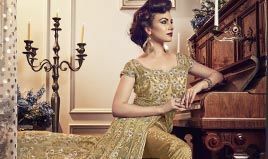 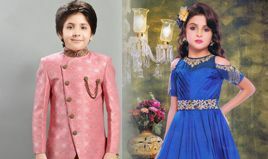 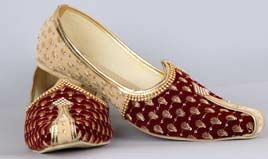 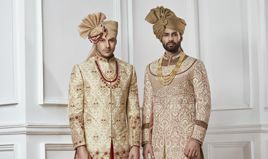 Comes with designer Choli and contrast Chiffon dupatta adorned with golden border. 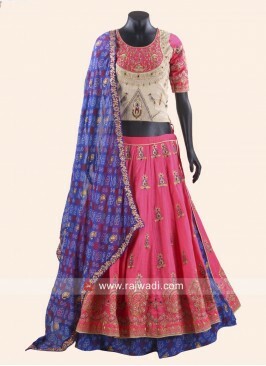 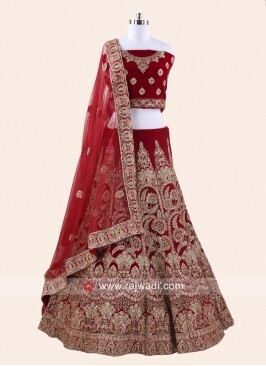 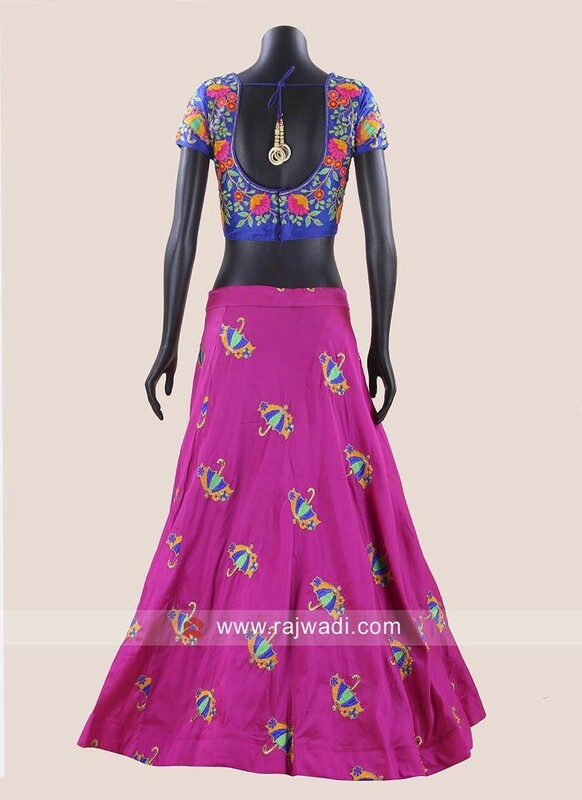 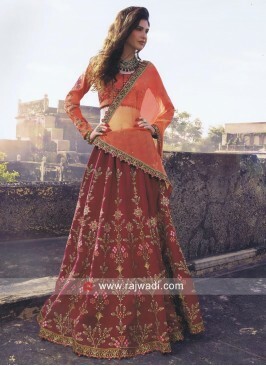 Red Patch Work Lehenga wi..